Sugar-free Lick Stix suckers come in assorted fruit flavors. Flavors include cherry, grape, lemon, lime and orange. 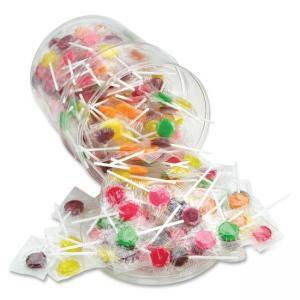 Each great-tasting sucker is individually wrapped to stay fresh. Ideal for reception or breakroom. Suckers come in a reusable tub so you can reseal to protect the suckers. 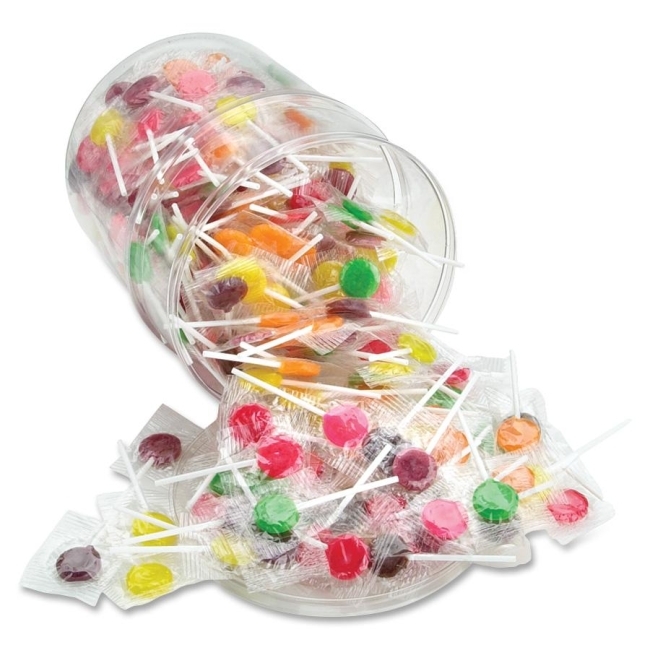 Lick Stix lollipops are sweetened with sucralose.